Meeeowwww!!!! It’s back again!! After a 4 year hiatus, direct flight from Bandar Seri Begawan to Kuching is back!!! The previous connection was via MASwings which stopped its operation back in October 2014. 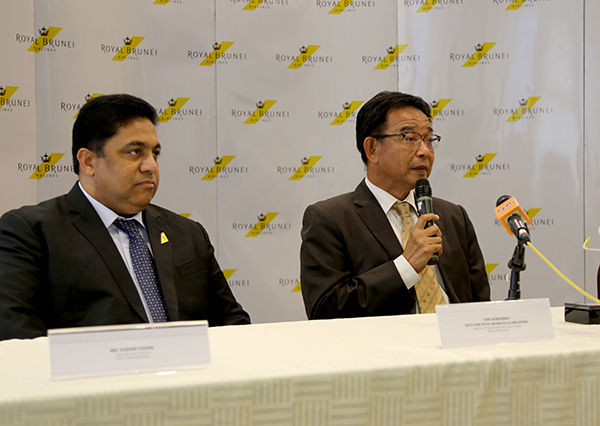 Royal Brunei ever flew to Kuching and its first flight was back on 15th May 1975 while its last flight was 28th July 2011. 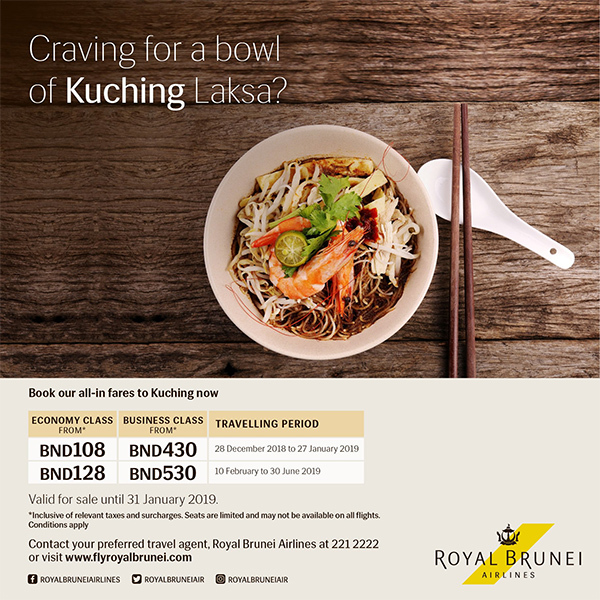 So it’s good to see that Royal Brunei has finally re-commencement its flight services to Kuching, Sarawak, Malaysia, starting 28th December 2018. 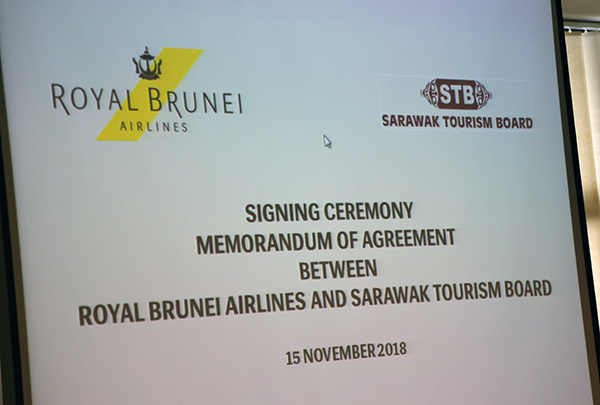 A signing of memorandum of Agreement (MoA) between RB and the Sarawak Tourism Board (STB) was held yesterday, aimed on offering bi-weekly flights between Bandar Seri Begawan to Kuching and vice versa. Present was the guest of honour, Yang Berhormat Dato Seri Setia Awang Haji Ali bin Haji Apong, Minister of Primary Resources and Tourism. Present during the MoA were Datuk Haji Abdul Karim Rahman Hamzah, Sarawak Minister for Tourism, Arts, Culture, Youth and Sports, Sharzede binti Datuk Haji Salleh Askor, CEO of Sarawak Tourism Board and Karam Chand, CEO of Royal Brunei. 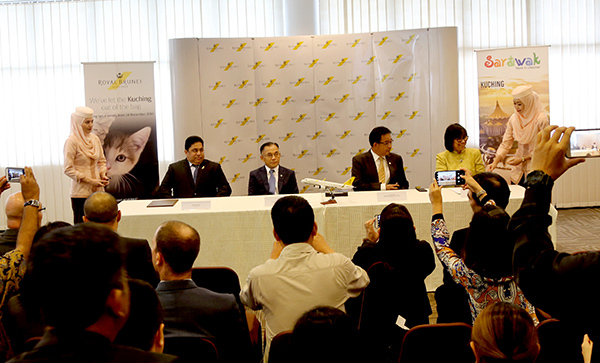 “The signing of the MoA between the Sarawak Tourism Board and Royal Brunei Airlines bears great importance to both our capitals,” said Sharzede binti Datuk Haji Salleh Askor, CEO of Sarawak Tourism Board. “First, it symbolises the start of the many collaborative efforts between our two capitals which will bring about sustainable socio-economic growth for both Sarawak and Brunei with tourism as a significant contributor, as well as strengthening the friendship between our people. 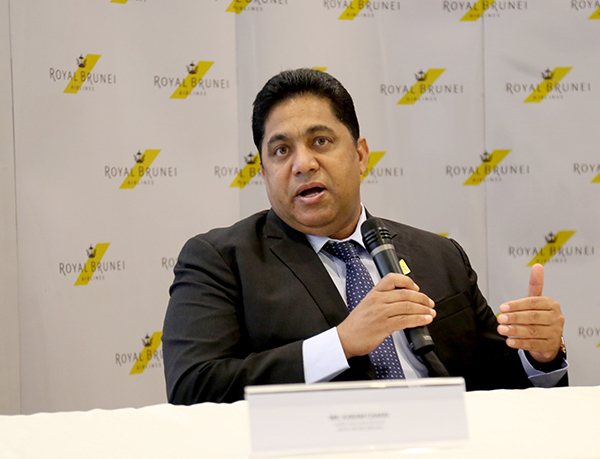 RB will fly to Kuching on December 28 using the RB A320, with the route operating twice weekly before increasing to four times a week by February 3, 2019.